Cheaters are the bane of multiplayer games’ existence. Regrettably, however, some games go easier on them than others. For a while, Rainbow Six Siege was one of those games. While not so overwhelmed by dirty cheaters that good, clean fun is just a few greasy footprints on a rotten floor, Rainbow Six definitely has its fair share of scum—wallhackers, aimbotters, etc. 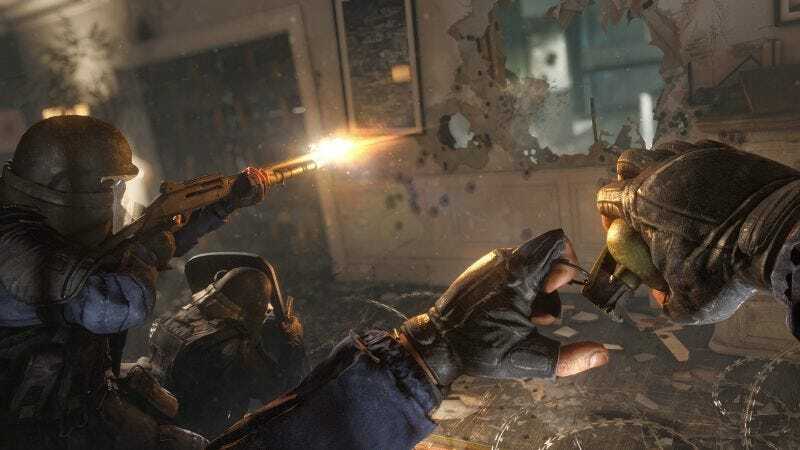 However, it is a little harder for players to identify Rainbow Six cheaters simply because the game includes tools that give players a positional leg-up on one another—things like drones and cameras, as well as the heartbeat sensor, which very nearly lets you peep through surfaces. There is, in other words, pretty big potential for false positives. Ubisoft, then, needs to be extra vigilant in identifying and booting actual cheaters. I’m glad that Ubisoft is working hard to slam the door on cheaters, but I hope their tools catch up with their policies. Before the latest update, I saw complaints that the current anti-cheat system is just too slow, or that it never noticed obvious cheaters in the first place. Despite this, Ubisoft insisted that it was a good system. It’s good to see that they seem to be reconsidering—opting to improve their system rather than rest on their laurels. In multiplayer games, the battle against cheaters is never truly won, but there’s a big difference between a game where cheaters are under heavy suppressing fire and one where they have the run of the place. Let us hope that Rainbow Six Siege remains the former.